Offenbacher Fußball-Club Kickers 1901 e. V.
Commonly it's still referred to as Der Berg or Bieberer Berg, like its predecessor had been for 80 years. 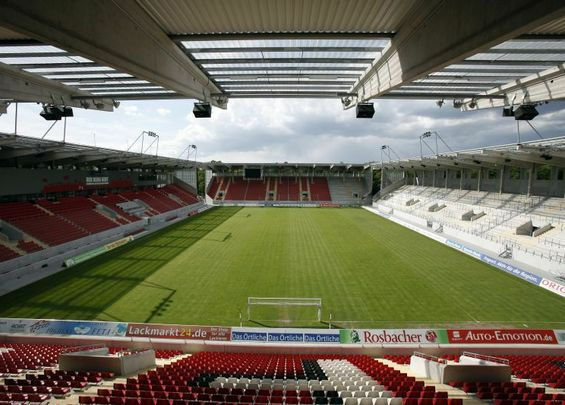 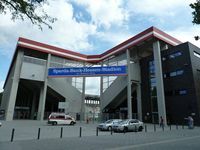 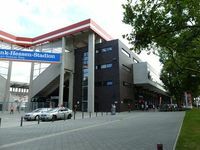 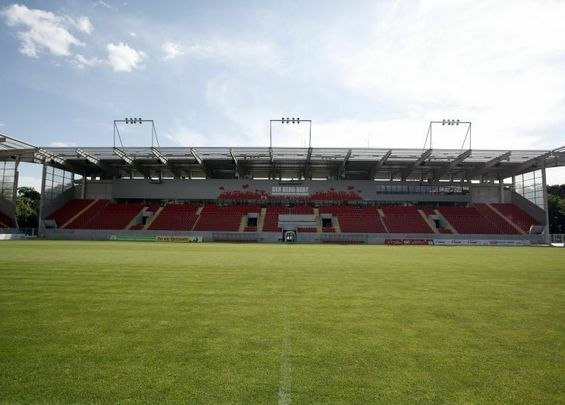 However for commercial reasons first decade of the new stadium built at the same spot is Sparda-Bank-Hessen-Stadion. 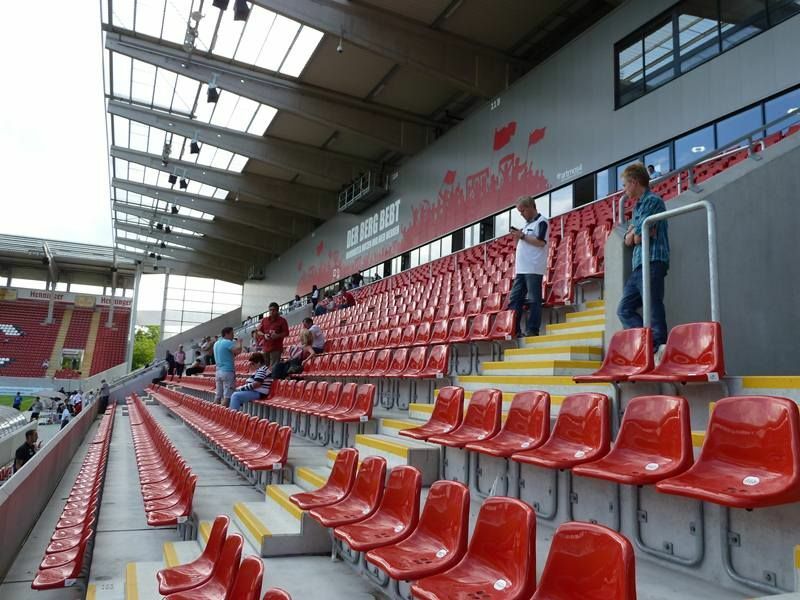 Four independent stands were designed by Bremer AG, company known for simple and cheap stadia. 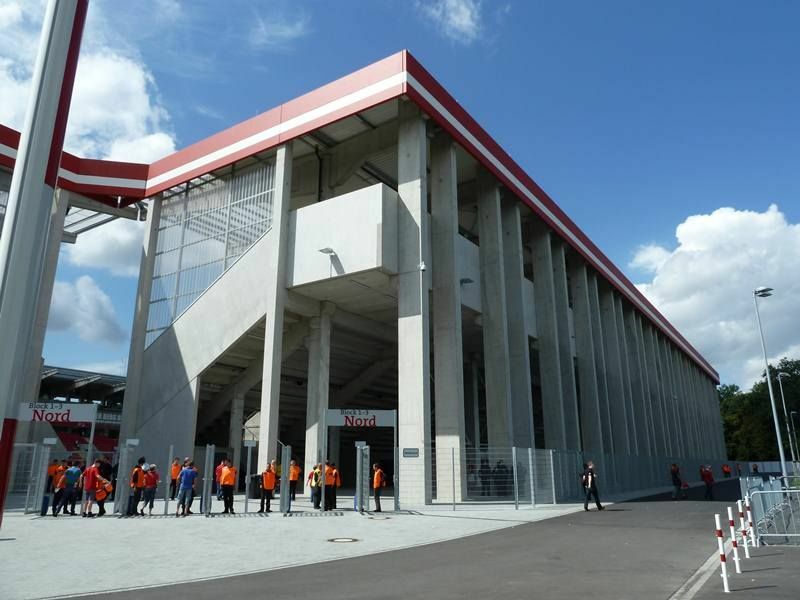 And indeed, this one was built in just over a year with complete expense at just €27m. 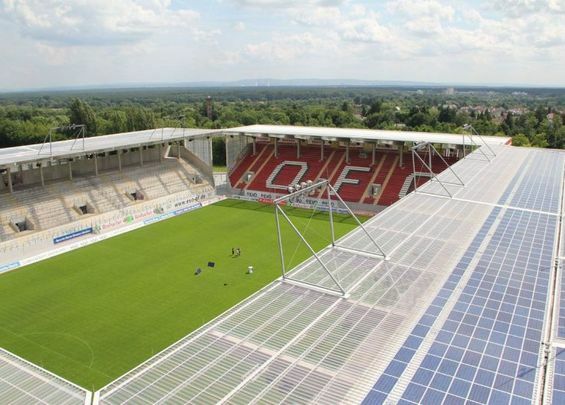 This was still enough to provide commercial spaces for rent as well as 3,800 sqm of photovoltaic panels on the roof. The 20,000 stadium can be expanded by nearly 50% if there is demand, thanks to space left in corners and between stands and roof. 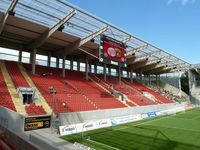 This number obviously includes massive terracing and despite this being common in Germany, this venue is unique in a way by having terraces right opposite the main grandstand, not behind goals. 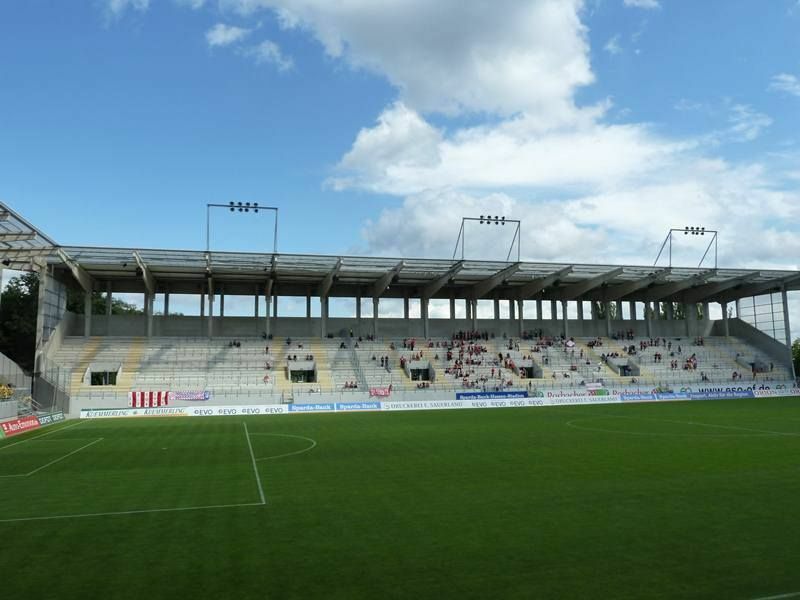 Simple and cheap doesn’t mean bad – this stadium proves it. 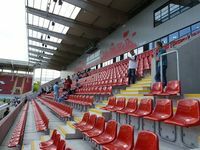 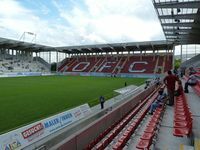 Even if major drawbacks can be found in the new Offenbach football stadium, it’s still great value for the money spent. 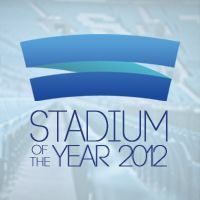 23.01.2013 Stadium of the Year 2012: Let the voting begin! 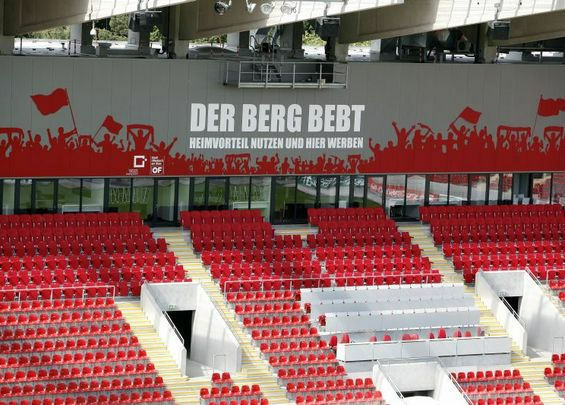 As announced before, starting today you have one month to select your favorite stadium opened in 2012. 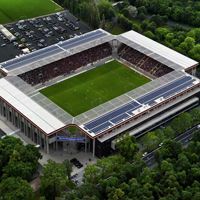 We have 16 nominees and quite a lot to choose from – retractable roofs, pitches, stands. 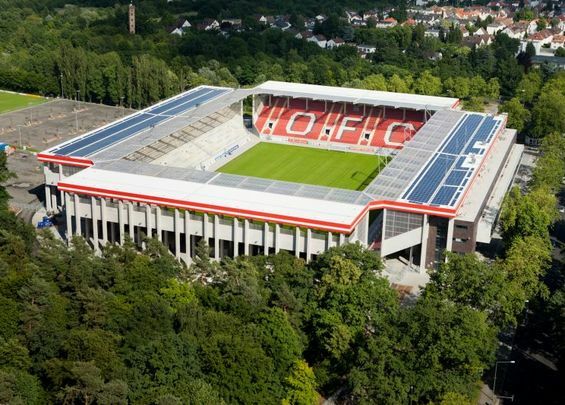 And each stadium glows in the dark (imagine that!). 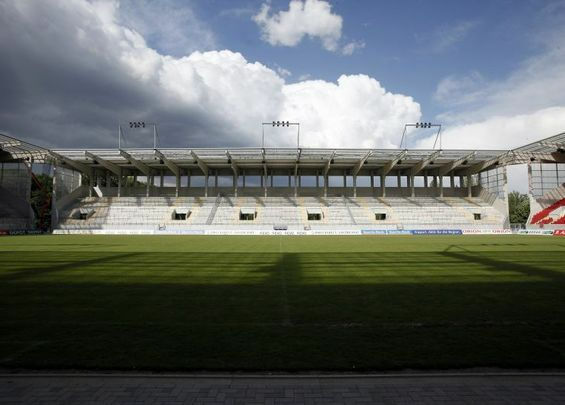 Germany's newest stadium – hard to believe it's not even in the 2nd league right now. 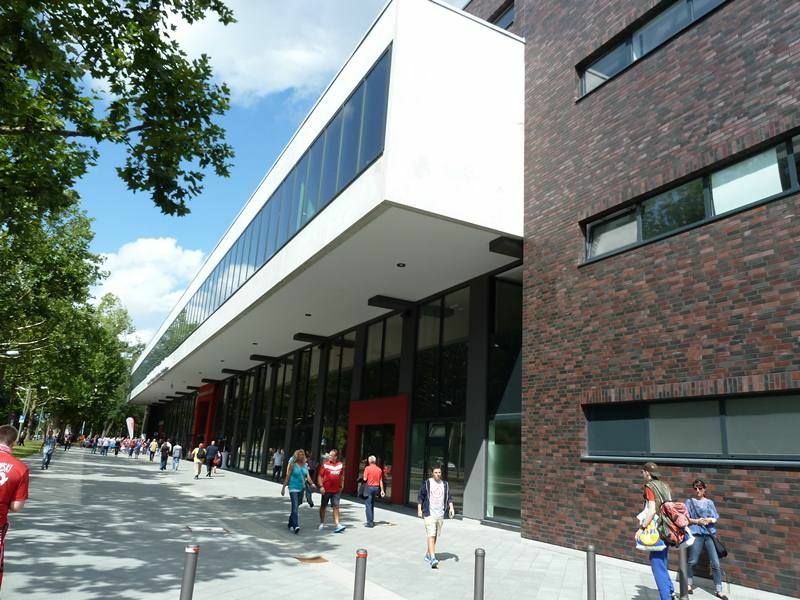 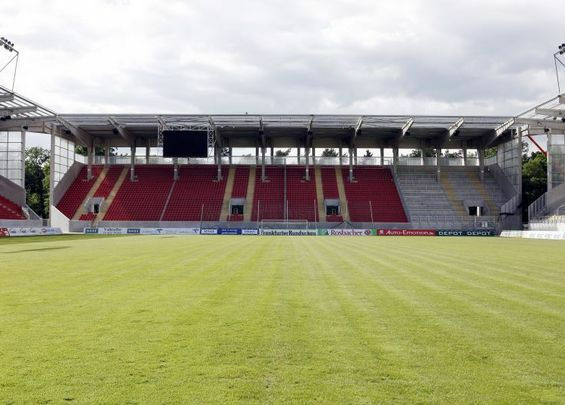 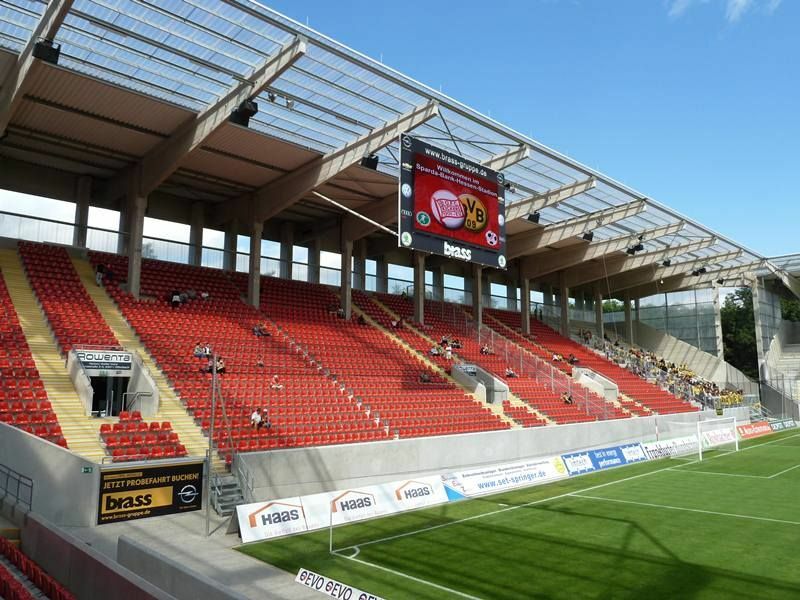 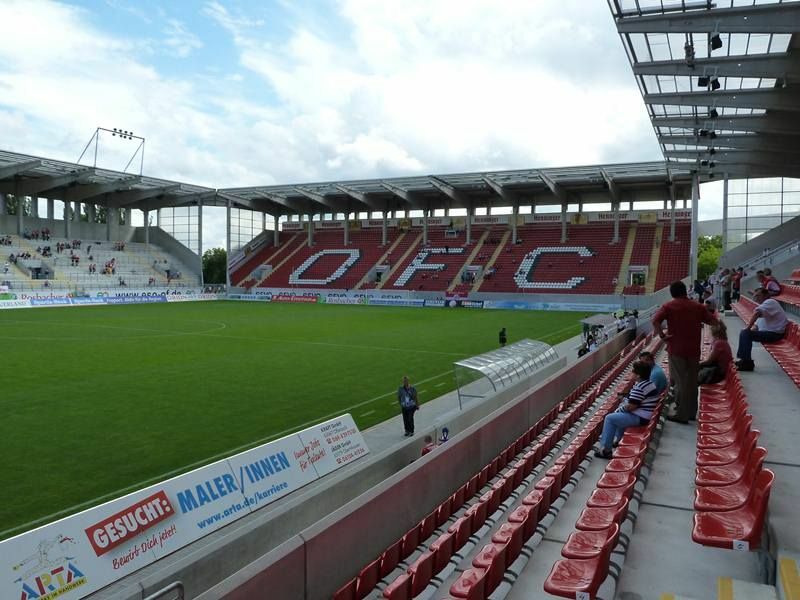 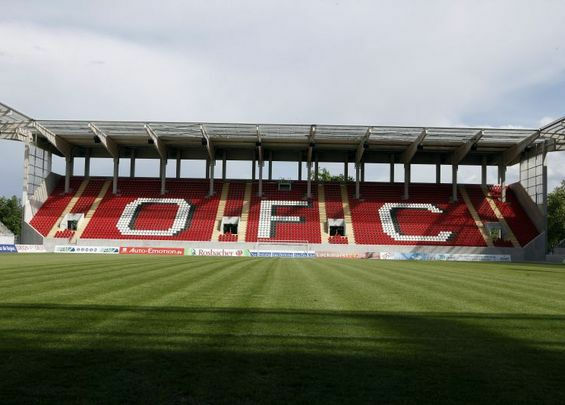 But while Offenbach just opened its new arena, Cologne also has one ground that's very impressive – taking into account it's only used by amateur club.